Government spokesman Dimitris Tzanakopoulos on Monday expressed his confidence that the leftist-led coalition would retain a majority in Parliament even if right-wing Independent Greeks (ANEL) pulls out over the Prespes name deal as ANEL leader Panos Kammenos has repeatedly pledged to do. 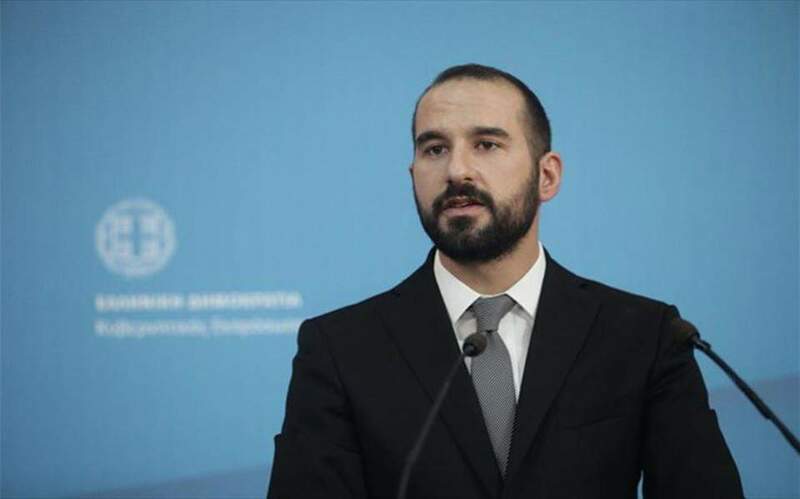 The government, and in particular Prime Minister Alexis Tsipras, would never put partisan politics above the country's interests, Tzanakopoulos told Real FM. He added that he believed Greece's Parliament would ratify the Prespes deal, when it secures full approval in the Former Yugoslav Republic of Macedonia, and comes to the Greek House as "the parliamentary and political" support to avert "any political developments that are not related to the agreement." Commenting on the latest comment by Kammenos, according to which ANEL will quit the coalition when the Prespes deal comes to Greece's Parliament, Tzanakopoulos said, "this does not mean, by any stretch, that the government does not have the political and parliamentary conditions to complete its term."